The Racine area’s famous Kringle – and Wisconsin’s Official State Pastry – finally got its delicious closeup on “CBS Sunday Morning” on Sunday, Dec. 13. Correspondent Vinita Nair and a crew took viewers on behind-the-scenes tours of three Kringle bakeries: Bendtsen’s Bakery, Larsen Bakery and O&H Danish Bakery. The approximately 4-minute story shows how butter, flour and numerous filings come together to make an incredibly popular pastry treat. The story includes a brief history of the Danish bakery culture and interviews with Ben Bendtsen, Eric Olesen and Don Hutchinson. 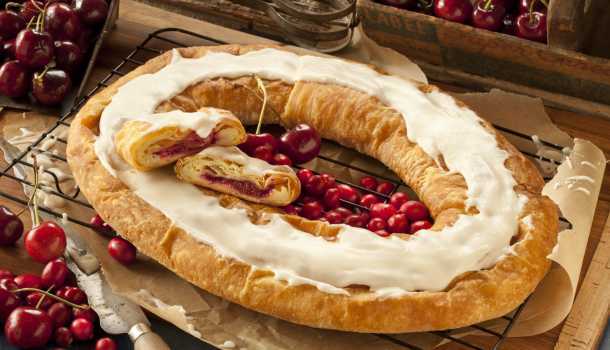 For more on “The Kringle: A Sweet Wisconsin Favorite” click HERE. Paul joined Real Racine in 2011 after careers in marketing, communications and journalism. He manages Real Racine's annual advertising and publications programs and oversees website, e-newsletter and social media content. 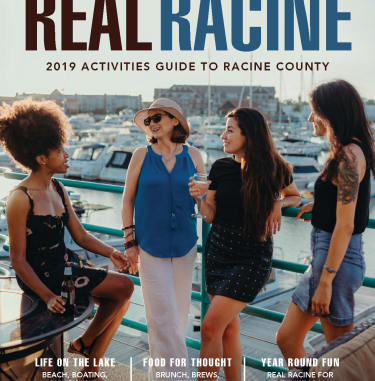 A Racine County resident for more than 20 years Paul loves playing show-and-tell about the events and attractions of his adopted hometown.